Straight, even teeth and a beautiful smile. Not only can it make you feel great, but it also gives you a boost in confidence. Unfortunately, not everyone is born with a perfect smile. However, it may come as a surprise to know that traditional metal braces aren't the only option to fix this problem. New dental products and technology mean less hassle and an improved smile in a shorter time frame. Invisalign is one of the major innovations in this area, but what is it and how does it work? If you need help understanding if Invisalign or traditional braces are right for you, read on. This article will tell you everything you need to know about Invisalign vs braces. Traditional braces work over a set period to correct improperly aligned, irregular spaced, or crooked teeth. They slowly adjust the position of teeth in order to create a more attractive smile. Braces are made of a combination of brackets and archwires, with elastic used to secure them. The brackets are made of metal, ceramic, or composite material. Brackets are bonded to teeth using cement, which is then hardened. The archwires do much of the work. They're attached to the brackets and exert pressure to reposition teeth. As far as time, there is an initial short appointment to place the braces. After that, every three weeks to three months another appointment to replace the elastic is needed. Someone with braces can expect to have them in for anything from eight months, to two years. After the braces are out, the patient may need to wear a dental retainer for some time. For very serious cases of misaligned teeth, traditional braces may work best. Not everyone wants to have metal in their mouth for years. Invisalign could be a perfect choice for people who want straight teeth without the hassle. This cosmetic procedure has powerful technology behind it. It also works in half the time of traditional braces. Best of all, it's barely noticeable unlike the embarrassing sight of metal braces. An expert dental practitioner uses a digital plan to create fully customized aligners. They work by comfortably moving teeth into a better position and are worn for about 22 hours per day. These aligners are fully removable. When eating, brushing, and flossing, they can be removed. The most common use of Invisalign is to fix crowded teeth. Especially lower front teeth. It's not just that these crowded teeth are unsightly. They can also be difficult to clean, leading to gingivitis and eventually gum disease. Gum disease can significantly increase the risk of stroke or heart disease. So Invisalign can not only make someone look great, it could actually extend their life. The range of people who get Invisalign range from teenagers to those well in their 80s. Patients with a variety of issues can be helped with this technique. These issues include widely spaced teeth, overbites, underbites, and crossbites. Overly crowded teeth are the most popular reason. 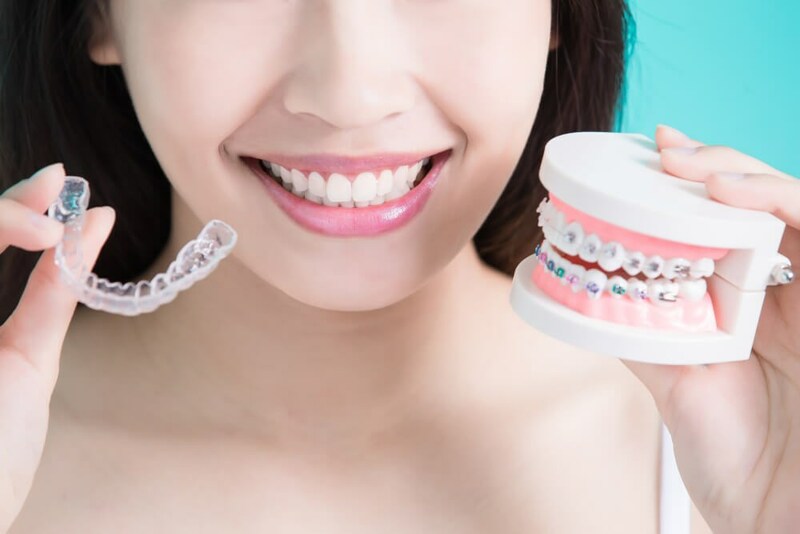 A patient must be able to wear the aligners at all times except when eating, brushing, or flossing. They'll also need to commit to returning to their doctor about once a month to make adjustments and check on their progress. Once a patient decides to get Invisalign, the first step is to get a 3-D laser scan. The dental expert scans the mouth to get exact measurements for the aligners to be made. Photos and x-rays will also be taken. Each set of aligners are worn for about a week. As the treatment progresses, each set brings teeth closer and closer to the desired position. After completing treatment, patients can expect to wear retainers. This is so the teeth don't drift and undo the treatment. There are some common questions that people usually have after hearing about Invisalign. Here are some of them. Are you too old for Invisalign? Actually, it's a common misconception that braces are just for young people! Even if you've had braces as a teenager but never wore your retainer, Invisalign could work for you. No matter your age, it's a great option. How to clean and care for Invisalign? When you get your aligners, your doctor will go over how to take care of them. When they aren't being worn, they should be placed in a container -- one will be provided to you. At least once a week, they should be soaked in a cleaning solution for about two hours. Your doctor will also have tips that have worked in the past for other patients to help keep aligners clean. How to maintain results? This is probably the most important question in the long run. Invisalign offers custom-made Vivera retainers that can be worn each evening to maintain that perfect smile. Even people who've had traditional wire braces can use these if they need a great retainer. For adults who need braces, there are options. Other than Invisalign or traditional braces, you can choose to have several other procedures. If your issue is crooked or gapped teeth, dental veneers could work for you. Da Vinci porcelain veneers, for example, can give you a natural look in as little as two weeks. A teeth whitening can help you with stained or discolored teeth, especially if you're a coffee drinker or smoker. With new technology like Zoom or laser whitening, results are extremely fast and long-lasting. Hopefully, this article will have made the choice of Invisalign vs braces much easier. You deserve a healthy and attractive smile. In order to achieve one, choosing a great cosmetic dentistry practice is absolutely essential. Check out the wide range of procedures we offer at our Dallas dental clinic.